The second half of Term 3 offered some challenges which impacted on life and learning in Room 10: five Year 5 learners joined the class from a neighbouring class in Week 4 and are in the process of buying personal Chromebooks; and we relocated to Tamaki Primary and then Ruapotaka’s library during Weeks 7, 8 and 9 due to asbestos risk. However, these challenges were put aside during the school holidays with the excitement of attending my first uLearn conference. Sharing my Spark-MIT IGNITE presentation as part of the Spark-MIT 2016 cohort has been the highlight of this Manaiakalani inquiry to date, but there was so much more to learn about, reflect upon and take away from uLearn. Listening to internationally-renowned keynote speakers as well as teachers from around New Zealand sharing innovative ideas and their best practice was a catalyst for wonderings and ponderings in relation to my learning context. What can I learn from Larry Rosenstock’s philosophy at High Tech High in San Diego after watching the documentary Most Likely to Succeed? Regular exhibitions of student learning engage whānau and community on a large scale. 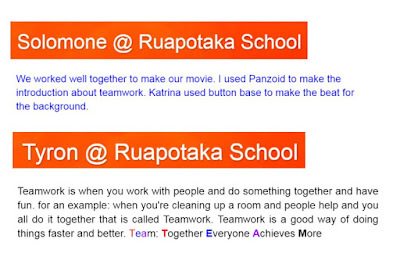 Closer to home, the Ako Fakataha initiative at St Pius X within Manaiakalani is a striking example of teacher persistence in engaging and empowering whānau to connect with their children’s digital learning journey. While learning how coding and robotics can be introduced into learning at school, I experienced my “aha” moment of uLearn: Knitting is coding! To achieve success at knitting, learners have to follow instructions exactly and persist in carrying out an often repetitive activity. Feedback is instant for self and peers: it is easy to spot if the pattern has varied unexpectedly or stitches have been dropped. Of course, the free coding and creating programme, Scratch, offers learners opportunities to code, create and animate digitally! As Term 4 begins and we have returned to our usual place of learning in Room 10, what is the most important thing for me to do as we approach the final weeks of this school year? It is time to hold my ideas lightly as we focus on creating further opportunities and resources to support whānau engage with their child’s learning. It was a privilege to share the progress, successes and wonderings so far of my Spark Manaiakalani Innovative Teacher (Spark-MIT) inquiry at Manaiakalani's annual hui yesterday. 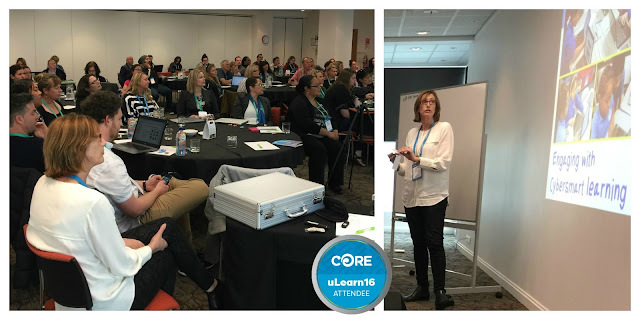 After sharing my thoughts for a second time at uLearn in early October, along with all other Spark-MIT 2016 inquirers, I plan to share my presentation via this blog. The Spark-MIT 2016 cohort was tasked with creating an IGNITE style presentation to share this journey at the hui. Quite a challenge to share all that has happened in five minutes using only 20 slides! Such a challenge focused the mind on the key ideas, the important milestones, expressed succinctly - to avoid having to speak at a hundred miles an hour. Thank you, Dorothy, for demanding this of us. It reminds me of those classroom learning conversations when teachers are inspiring learners to craft, recraft and reorganise their writing ideas to meet the writing purpose! As well as a time to reflect upon my inquiry and its progress, yesterday was a wonderful opportunity to listen to the successes and wonderings of others - my fellow Spark-MIT teachers, student ambassadors and research experts from the Woolf Fisher Research Centre. Yesterday, digital training to empower whānau within Manaiakalani was undertaken for the first time by a family at Ruapotaka. After much persistence on the part of the student, a one-on-one training session was organised between a parent and Yayleen, Manaiakalani's Whānau Learning Kaiarahi. Alexandra's mum spent an hour with Yayleen learning about kawa of care and setting up a personal email account. It has been two months since our Chromebook hui, but this significant meeting is further evidence that whānau do want to engage with and support their child's learning. As well as being a milestone for whānau, it was a proud moment for Alexandra too. She is now able to take her Chromebook home more frequently: Training with Yayleen. Time will tell whether other learners follow Alexandra's model to facilitate such whānau meetings! I am inquiring into how learners in my Year 6 class can make and sustain accelerated gain in reading. Based on my observations and conversations with learners, all fluent readers enjoy reading but do not always actively choose to engage with longer texts independently. Despite some barriers to these learners accessing a range of relevant and interesting books, there are also personal mindset barriers which impact which books learners choose to read and how learners attempt to sustain reading a longer chapter book. According to the Ministry of Education, a literature circle is an approach to teaching reading that encourages fluent readers to think about and discuss books, usually longer texts. In such a “book club” a small group read the same novel independently, coming together at certain times to share their opinions, feelings and thoughts with the rest of the group. Within the context of this inquiry, one reading group has been introduced to literature circles this term to investigate if this teaching approach can foster independence and deeper connections with a longer text amongst fluent readers. The group has taken on different roles using literature circle resources devised by Sheena Cameron. So far, the response has been positive: learners have worked together to clarify roles and provided support to others when preparing for their first meeting - at which they enjoyed rich discussions led by the Discussion Director. The learners are creating and completing their designated tasks digitally, although this can only be described as substitution within the SAMR model at present. However, the visible co-operation, collaboration and purposeful talk are supporting the growth of actively-engaged learners who, it is hoped, will choose to persevere to become resilient independent readers over time. 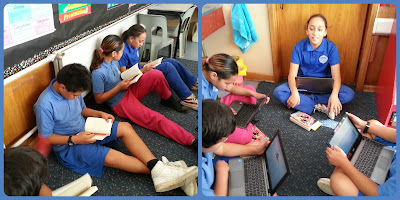 Room 10 @ Ruapotaka held a Chromebook celebration last Thursday to engage with family and whānau and in order for learners begin taking their Chromebooks home to experience ubiquitous learning. To strengthen connections with whānau, two of the Manaiakalani team, Fiona Grant (Professional Learning Team Lead) and Yayleen Hubbard (Kaiarahi/Whānau Engagement Facilitator) offered support at this hui. Students were actively engaged in preparing for this event by creating personal invitations for whānau. 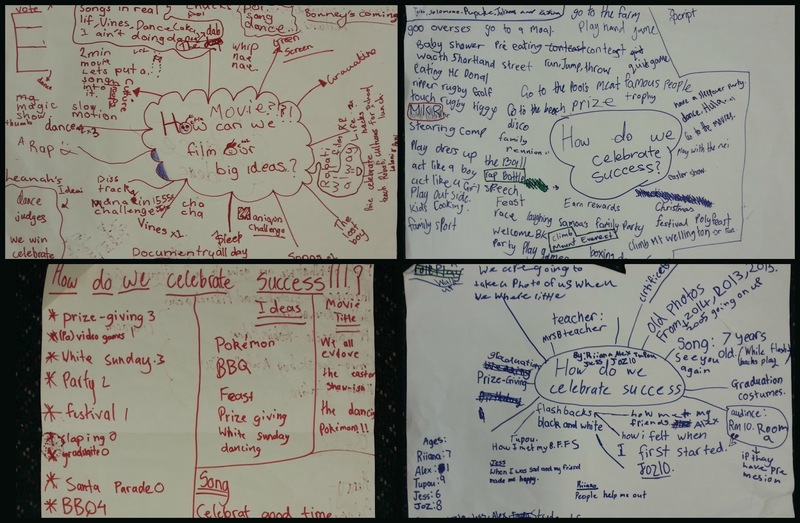 A small group of students also created a video invitation in English, Māori, Samoan and Tongan to maximise whānau understanding and involvement. 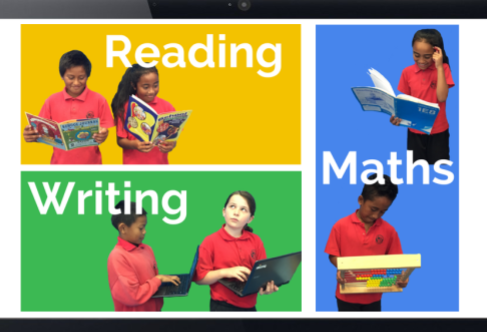 To encourage learners to reflect upon the transition from homework to learning at home through this digital affordance, each student created a screencast to share with their families how and why their learning would benefit by taking a Chromebook home. 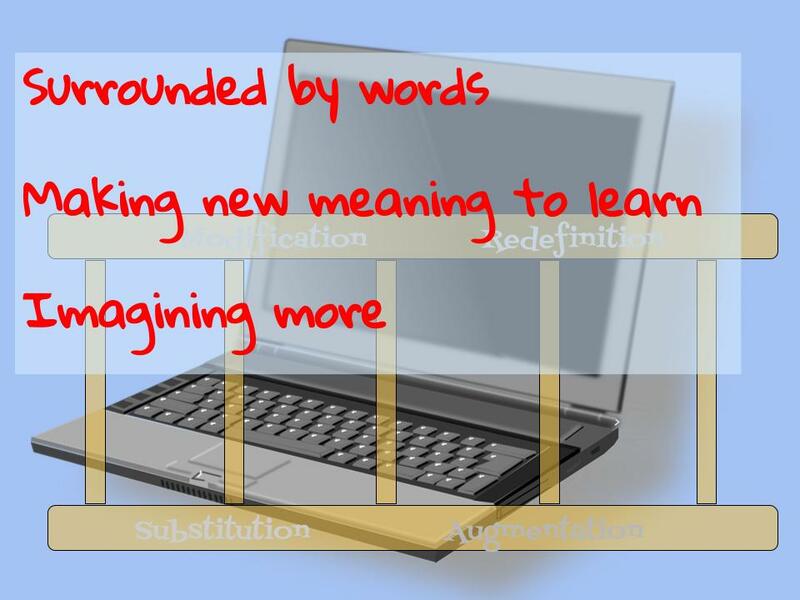 Here is an example shared through individual learner blogs. 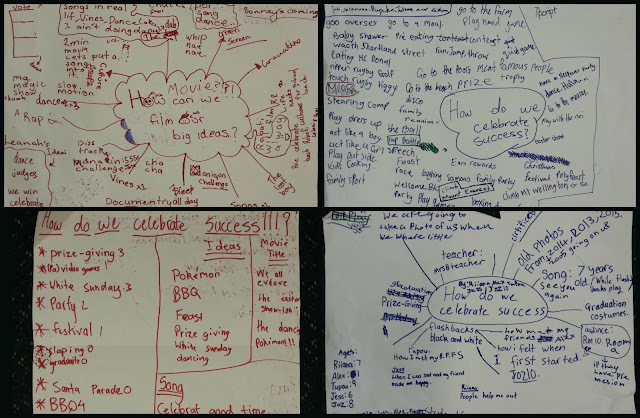 To support communication and engagement with whānau, an additional whānau page has been added to Room 10's class blog, where students have posted the first of a proposed series of screencasts to support parent and whānau understandings about being a Cybersmart parent. Each student led the experience for their family. 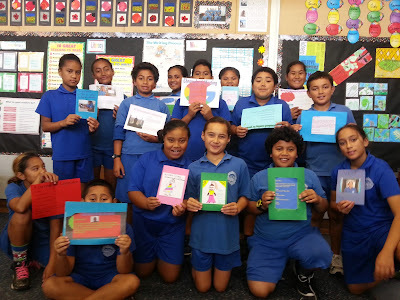 To promote student independence and agency, learners were scaffolded to present learning and work through a series of tasks and activities with their visiting whānau. An important aspect of this celebration was gathering data from whānau through a whānau survey to gauge attitudes to learning at home, and information about digital learning, use of public libraries and languages spoken at home. Overall the celebration was highly successful as a model for engaging with whānau. Although there are a few students in Room 10 who have yet to complete the paperwork to purchase a Chromebook, only one family (of those students with a personal Chromebook) was unable to attend. To reflect on this event, all students have been asked to write about their experience at our Chromebook celebration: here is Alexandra's writing. It is poignant that at this exciting and unique milestone event in their digital learning, a highlight for many students was sharing afternoon tea. Learners co-operated and collaborated with new-found confidence when creating the various DLOs for this event as it represented a significant milestone in their personal digital learning journey. Parents were excited to come and see digital learning in the classroom and excited that their child was able to begin learning at home using a Chromebook. All learners were proud of their achievements and proud to share their digital skills with their visitors. Google does not offer translation into Tongan. Learners need a password to access the Tamaki Learning Network (TLN) on their Chromebooks at home! Learners will create additional screencasts to support whānau engagement with their child’s digital learning. 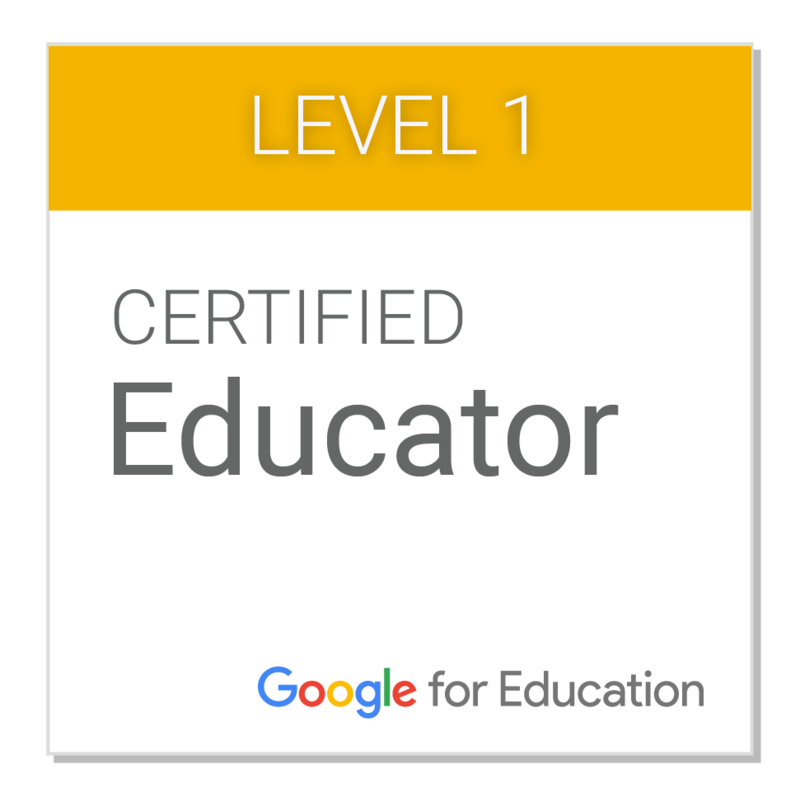 Additionally, primary caregivers will attend some initial training with the Manaiakalani Kaiarahi/Whānau Engagement Facilitator to enable learners to take Chromebooks home more than twice per week. While maintaining relationships with family, it is now time to begin addressing the reading aspect of my Spark-MIT 2016 inquiry. The Google Educator Group Auckland held its first SparkShop yesterday - inviting educators to "spark inspiration in the practice of others". An engaging afternoon was spent sparking connections with Rachel Williams at the Woolf Fisher Research Centre at the University of Auckland yesterday to support my Spark-MIT 2016 inquiry. 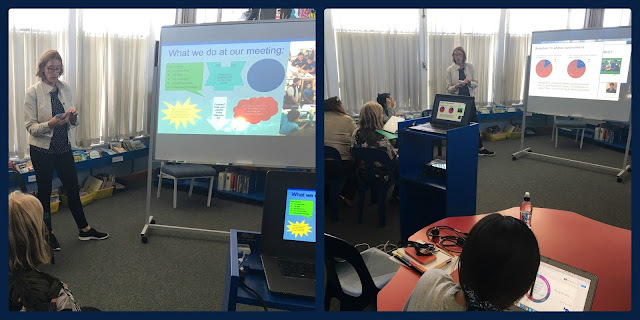 Rachel is addressing the summer slide in literacy specifically within Manaiakalani and created a pilot holiday blogging programme, Summer Learning Journey, which ran over three weeks in January 2016. Blogging was chosen for this initiative as a positive way to hook learners into creating and sharing more writing. Eight 1:1 digital classes across three Manaiakalani schools participated in the pilot programme with approximately one-third of those learners actively blogging during this time. How does this relate to my inquiry? As the programme is set to expand during the July holidays, it offers learners motivation and a framework for authentic and fun reading and writing activities in addition to any holiday leisure reading. Rachel is excited to have an opportunity to connect with the learners in Room 10 @ Ruapotaka and enable their involvement in this ubiquitous literacy journey, taking advantage of digital affordances at home and in the community. We will collaborate to enable whānau to engage and connect with this blogging journey. A haiku poem to share a moment in time! It has been a reflective day at Spark HQ with the Spark-MIT 2016 cohort sharing the progress and challenges of our inquiries so far. Firstly we unpacked and discussed Dr Ruben Puendetura's SAMR model to evaluate how we will apply his framework to digital innovation in our classrooms. Critically, do we envisage that our digital innovations will transform learning through redefinition? As identified in earlier updates, my focus remains inquiring into engaging with whānau to support learners in achieving and sustaining accelerated gains in reading. Baseline reading data has been collected for Year 6 learners for November 2015 and February 2016. As we enter our third week of Term 2, approximately 75% of learners are using Chromebooks in class on a daily basis, whilst the remaining students record their learning on paper. Waiting for more Chromebooks to come on line in the classroom has proved a challenging aspect to this inquiry and has limited opportunities to engage with family/whānau. When beginning this inquiry, I naively envisaged that students would be learning at home with digital devices by the end of Term 1. Very soon, this challenge will have run its course! I'm excited that students are about to invite family/whānau to school to share via a screencast why their learning would benefit from taking the Chromebooks home! They will also begin to create some "how to" videos to help their family/whānau engage with our kawa of care and support learning at home. The voice of our whānau will determine what shape some of this will take and, consequently, how this translates into innovations around reading. 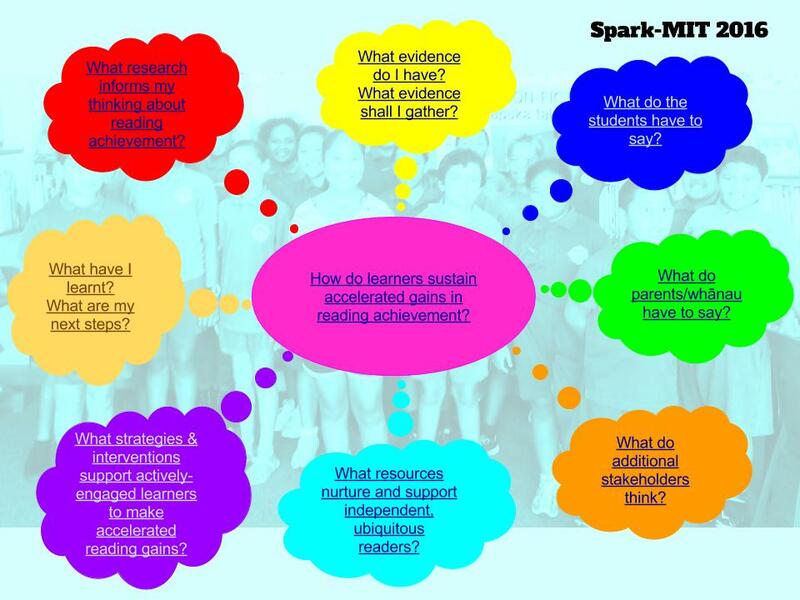 Spark-MIT 2016: What do I want to reflect upon and share at the end of Term 1? The backstory: although moving with the same student cohort from Year 5 in 2015 to Year 6 in 2016, the number of learners in Room 10 has decreased since the end of 2015 as five students have left the area over the summer holiday and during Term 1. 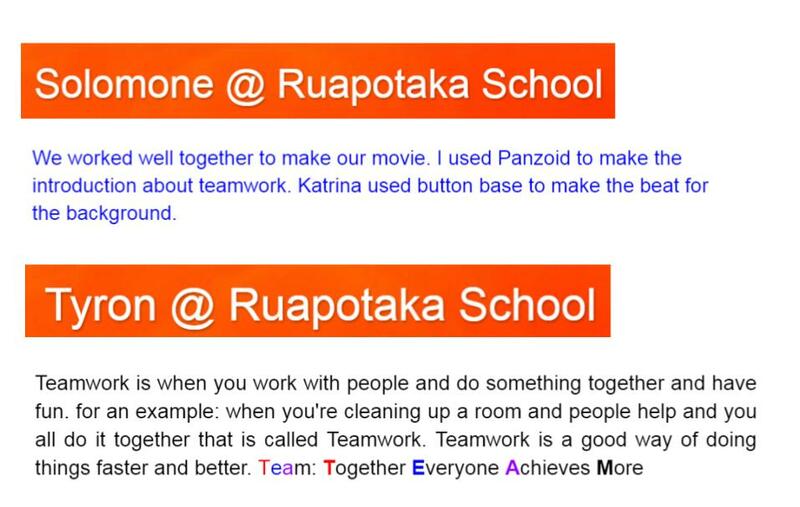 One student has returned to learn at Ruapotaka after a short time in Room 10 earlier in 2015. The digital context: as at the 7th April 2016, 59% of Room 10 is learning with Chromebooks. 41% of the class continues personal learning traditionally. There is a digital divide within Room 10. 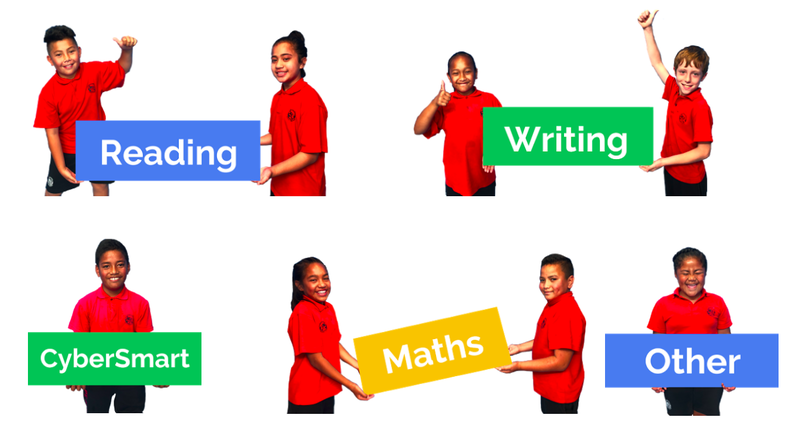 Once 90% (or more) of students have access to a personal Chromebook in Term 2, family and whānau will be invited to share their initial ideas, thinking and expectations about their child’s learning and any opportunities to engage and connect with this within a ubiquitous digital learning environment. The data so far: just under half of Room 10 read at their chronological age; just over a quarter of the students read at a level well-below their chronological age; no learners are reading above their age. Just over half the class maintained their reading age over the 2015/2016 summer break. For those students whose reading age declined between December 2015 and February 2016, the downward shift was either 6 or 12 months. Anecdotal evidence about reading habits over the 2015/2016 summer break: two students participated regularly in Dare to Explore, a summer reading programme at Auckland Libraries; approximately half of the class said they read occasionally over the holiday; and around one-third of students did very little or no reading during the summer break. The specific problem of my inquiry was identified, deliberated and refined at Spark-MIT 2016 Day 1: how do my Year 6 learners in a Decile 1 primary school make and sustain accelerated gains in reading? The easy answer, of course, is to read more. Therein lies the problem: how will that happen? The cycle of inquiry begins. Today was Day 1 of Spark-MIT 2016. This year's cohort of Manaiakalani Innovative Teachers gathered at Spark's Head Office in the city to share the focus of their inquiry, challenge and support each other in finalising their research problem for 2016. Visible learning in a 1:1 digital learning environment to support student achievement. How am I doing? What can I improve on?